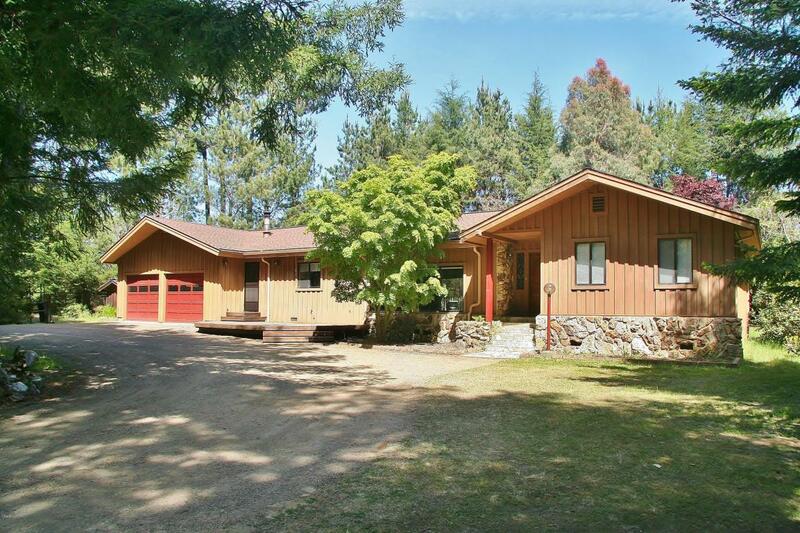 Solid well built home on two private acres adjacent to Jackson State Forest. Good mix of trees and wildlife. Extra room in garage plus sauna. Detached bonus building easily enclosed for your needs. Quality redwood and rock used for construction. Large living room with vaulted and open beamed ceiling. Open rock fireplace for comfort. Minutes to town but has that country feel.